W. W. Norton & Company, 9780393351071, 352pp. The Kings family has lived on Loosewood Island for three hundred years. 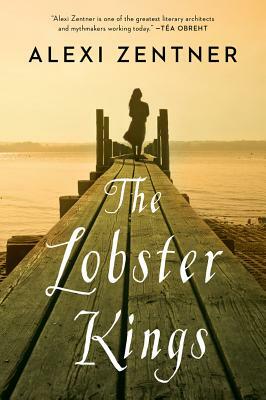 Now, Woody Kings, the leader of the island's lobster fishing community and the family patriarch, teeters on the throne, and Cordelia, the oldest of Woody's three daughters, stands to inherit the crown. To do so, however, she must defend her island from meth dealers from the mainland, while navigating sibling rivalry and the vulnerable nature of her own heart when she falls in love with her sternman. ALEXI ZENTNER's fiction has appeared in the "Atlantic Monthly," "Narrative Magazine," "Tin House," "Glimmer Train," "The Southern Review, Orion Magazine" and other publications. His short story "Touch" was featured in "The O. Henry Prize Stories 2008" where it was chosen by Chimamanda Ngozi Adichie as a jury favourite. His short story "Trapline" was awarded the 2008 Narrative Prize and named to the "Best American Short Stories 2009" list of "100 Other Distinguished Stories of 2008." His short stories "Touch" and "The Adjuster" were also selected for "special mention" in the 2008 Pushcart Prize anthology. "Touch "was published in spring 2011 in the USA by W.W. Norton, and in the UK by Chatto & Windus." Touch "will also be published in Italy, Germany, France, the Netherlands, Israel, Korea, Brazil, Denmark and Poland. Alexi Zentner was born in Kitchener, Ontario, and currently lives in Ithaca, New York, with his wife and 2 daughters.